In a recent development by Ford Motor Company, it is expanding the SYNC 3 connectivity platform – allowing compatibility of Apple CarPlay and Android Auto – throughout its entire 2017 U.S. vehicle lineup of cars, SUVs, light trucks and electrified vehicles. This means that the the software can now be used by various automakers to keep in touch with latest technology. 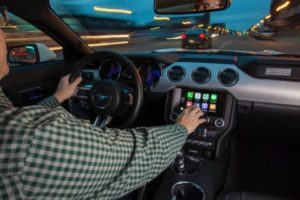 Ford, using its platform-centric approach – creating a technology for its lineup versus going vehicle by vehicle – has been able to swiftly roll out SYNC 3 plus Apple CarPlay and Android Auto. And future, over-the-air updates via Wi-Fi will help ensure it keeps up with the latest technology. We developed one platform – SYNC 3 – and have been able to quickly offer the technology across our lineup. Customers considering a new vehicle can now choose any 2017 model year Ford car, SUV, light truck, or electrified vehicle with SYNC 3 and be able to access their favorite apps. SYNC 3 is already a major leap forward in terms of functionality, simplicity, and user experience – Ford’s promise that every new model now ships ‘Smartphone-ready’ is huge. Ford is not taking the traditional approach of introducing Apple CarPlay and Google Android Auto on a few piecemeal models or as an expensive option on luxury vehicles only. The guesswork for consumers is over – if you buy any 2017 Ford vehicle with SYNC 3, you drive off the lot with both of these innovative technologies ready to go. 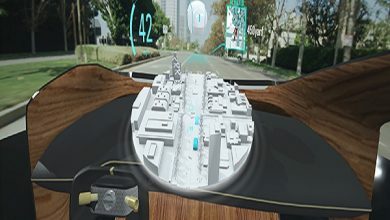 As part of Ford’s effort to present convenient, easy-to-use mobility solutions, SYNC 3 features all-new hardware and software for faster and more intuitive performance and more conversational voice recognition to help people easily connect to their smartphone and access a variety of features, including hands-free phone calls and available navigation. Apps such as Spotify, Pandora, Ford PASS, AccuWeather and AAA member services have also been added through SYNC AppLink®. Compatible with iPhone 5 and later models, CarPlay provides a simplified way to use your iPhone interface on a car’s touch screen, giving users access to Siri voice controls, as well as Apple Maps, Apple Music, Phone, Messages, and a variety of third party apps.